Top 10 Books We Think Would Make Great Read-Alongs! Question: Top 10 Books We Think Would Make Great Read-Along Picks. 1. The Hobbit (J.R.R. Tolkien) – With the movie coming out later this year, a reread over the summer is a must. What better way to visit Middle Earth than with a few friends. 3. Men at Arms (Terry Pratchett) – This one might be a little short for a read-along, but the Discworld is way too exciting to visit alone. Any number of titles would work as we’re hoping to make several return trips to the Discworld this year. 4. For Whom the Bell Tolls (Ernest Hemingway) – Anything by Hemingway has a menacing stigma attached to it, at least for us. Plus, we’ve heard this book has plenty of weighty themes to discuss. 5. Dandelion Wine (Ray Bradbury) – We’ve been told time and again that this novel is a perfect spring read. We’ve marked our calendars for April (in pencil) to host some kind of read-along... Yipeee! 6. Insomnia (Stephen King) – We found this one at our local bookstore a couple months ago and lugging it home nearly gave us a hernia. There’s got to be all kinds of good stuff to debate within this one. 7. The Adventures of Don Quixote (Miguel de Cervantes Saavedra) – We really, really want to check this one off our list in 2012. We know there’re windmills, but that’s it. We’d be a lot less intimidated going through this with a group. 8. Wuthering Heights (Emily Bronte) – The first time we read this novel our blood was boiling so much that we apparently missed all the “love” radiating from the main characters. We’re quite frustrated with ourselves for missing a really fun read-along last year. Nevertheless, we may need to partake in some serious Heathcliff venting when the time comes. 10. Wolf Hall (Hilary Mantel) – The female Bibliomaniac did not like this one. At all. Like, she didn’t even finish it and it sent her off on a tailspin of book depression. It could be very difficult for the male Bibliomaniac to try this one without large numbers... the whole misery loves company thing. So what else? We’re anxious to see if any other titles need to be added to our list. Have a great week and head on over to The Broke and the Bookish to join the fun! We got lost in some bad stuff. No, like some really bad stuff. Even the cliff notes for this play made our eyes cross. There were so many people plotting and wearing disguises that it was impossible to keep up. Yet, of all the plays we experienced this month it felt like King Lear had the most to say. We just couldn’t figure out what it was. Really, the most interesting thing we encountered in King Lear was the quote listed above. The first line gave us shivers and got us really, really excited to continue our journey through Stephen King’s The Dark Tower series. 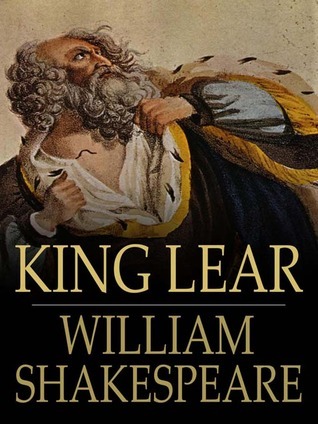 It was also entertaining to watch King Lear slowly lose his mind and he had some pretty great lines the further down the rabbit hole he fell. Cordelia was a great character and should be acknowledged for her honesty and the perseverance that Edgar displayed through so many murder plots was impressive. Otherwise the play was very dark and depressing and not our favorite. Sorry. Don’t forget to head on over to A Literary Odyssey for all your January Shakespeare needs! The play really gets going when a group of three witches make a Trelawney-like prophecy regarding the fate of the main character (our people are currently searching the hall of prophecies for the original). 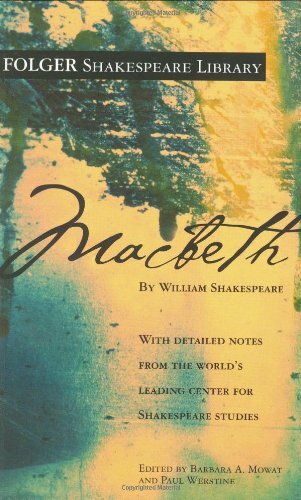 When Macbeth hears of his fate, several events are set in motion; all that will leave blood on the hands of the two main characters – literally and figuratively. Like Lord Voldemort, Macbeth’s downfall comes through a whole lot of misplaced ambition and a simple misinterpretation of the prophecy. Okay, so that was probably the worst summary of Macbeth ever. Ever. Still, we’ve read, listened to, and watched more Shakespeare in the past weeks than we ever dreamed, and our mental state is very delicate right now. Actually, Macbeth was another solid play. The characters were once again superb and we still can’t get over the image of Lady Macbeth trying to scrub all the blood from her hands. The Three Witches were also excellent and their presence at the beginning of the play really set the tone for all the chaos that followed. This play was a bit disturbing at times and similar to Othello in that it showed what a few misplaced ideas can do to a person. The killing authorized and carried out on MacBeth’s behalf was horrible and made it hard not to do a little old fashion reveling in his demise. We’re not suggesting any kind of choreographed number here, but maybe a well timed jig or a quick Discount Double Check. Anywho, Macbeth didn’t make our top three, but was still a worthwhile play that we’d love to see performed on stage. Oh, and don’t forget to head on over to A Literary Odyssey for all your January Shakespeare needs! Editor’s Note: Yes, we did make several Harry Potter references in our review of Shakespeare. Don’t hate us cus’ we’re play’azzz!!! Editor Editor’s Note: Sorry, the above was a very lame attempt to relate to a younger demographic. We promise to keep these types of thoughts to ourselves in the future. Why: Oh, we like it! In fact, we like it a lot!!! Upon suffering an unjust banishment, Rosalind and her best friend decided to flee to the Forest of Arden. They solicit the help of the friendly court jester and mask their true identities before setting out on the road. In the forest the two women encounter various sheep herders and other banished individuals, including Rosalind’s primary love interest. Her path is hardly conventional but in the end love triumphs... or does it. We’re back above the surface with Shakespeare! 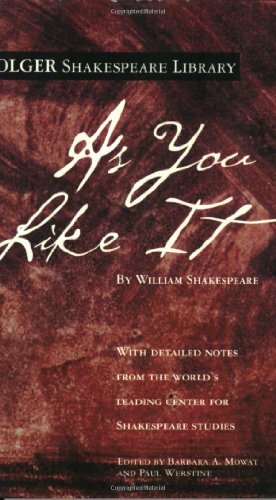 In fact, our first reaction is to brand As You Like it as our favorite Shakespeare to date. Not exactly sure why this one in particular had such an impact, but we found ourselves really getting into the plot. Talk about a super-duper happy ending! The characters of Rosalind and Orlando were our favorites and the element of disguise in their forest encounter was a nice touch and maybe a wee bit weird. Plus, not many people could pull off Orlando’s excuse for standing up Rosalind: Lion attack. That would never work for us. Seriously, honey, this huge flippin lion came along and, um, I had to wrestle it and ya, that’s why I’m late. Um, why are you looking at me like that... seriously, here’s a bloody handkerchief to prove it. Also, we’re not sure if a court jester would be our first selection for protection on the road, but Touchstone was quite impressive. At one point he proclaimed in the name of love that: I will kill thee a hundred and fifty ways. We didn’t even know there were that many different ways to exterminate an individual. Tragedy or Comedy? That IS the question (sorry for that). Still, As You Like it might just have tipped the scales... The 2006 film directed by Kenneth Branagh is being added to our Netflix queue immediately and local theatre companies within a 50-75 mile radius are being searched! BOOK GIVEWAY - Start Something That Matters!!! By definition a bibliomaniac has a terribly difficult time parting with a book in their possession. And with two in the picture... hopefully you can see our crisis. Yet, after thirty-six straight hours of intense shock therapy and three large bowls of double fudge ice cream (and a second copy generously donated from the author) we can joyfully announce our Start Something that Matters by Blake Mycoskie giveaway. The rules are so simple that even a non-reader can do it. 1. Provide a comment below stating your interest in participating. The deadline for signing up will be February 1st at which time a name will be drawn by means of some kind of random number generator thingy. Ya, get excited! Click anywhere on this sentence for our review of Start Something that Matters. Good luck and don’t forget to tell your peeps! Start Something that Matters tells the story of Blake Mycoskie and his quest to start something that matters. While on a rare vacation in Argentina an idea started that would spawn a movement. 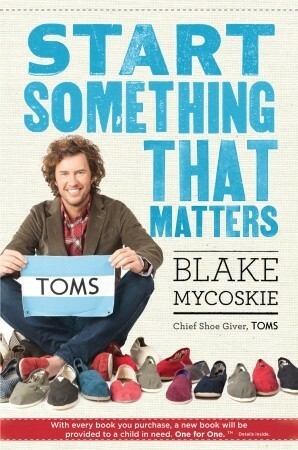 TOMS Shoes was quickly born, along with the company’s One for One philosophy: “With every pair purchased, TOMS will give a pair of new shoes to a child in need.” The novel explores Blake’s journey to set up a new kind of company and helps set the roadmap for others to start something that matters. At the heart of TOMS is a great story. It seems only fitting that Start Something That Matters is also filled with countless great stories (seriously we could count, but hopefully you’ve come to expect nothing less from this blog). No two are alike, yet each account was about individuals harnessing their entrepreneurial spirit to start organizations that have a positive impact on the world. There were examples of large organizations like charity: water, which helps distribute clean drinking water to those in need, and examples of much smaller organizations, like SENDaBALL, which mails handwritten notes on balls to people as a unique gift idea. Start Something that Matters can be read in one or two sittings and will provide plenty of career food for thought. The concepts aren’t wildly unique, but seeing them combined together in a flourishing business model that balances charity and profit was inspirational. Plus, the maturation of TOMS was incredibly interesting. Everything from company culture to maximizing resources was discussed. And just when you’re ready to think up an excuse why starting your own something that matters won’t work, Blake drops a quick “overcoming obstacles” story that inspires you all over again. Sorry to go all Tony Robbins for the past two paragraphs, but this topic seems to have us both charged up. Plus, in the spirit of One for One, we received a review copy along with a second to give away. Sooooo, it is with great excitement that we can officially preannounce a giveaway of Start Something That Matters (Official announcement and details will follow tomorrow). How to summarize a play that we only mildly comprehended ourselves... hummm? There were several young people in love but depending on the effects of an enchanted flower, the recipient of said love varied. There were some quarreling fairies and a dysfunctional band of stage performers. Plus, someone was partially transformed into a Jackass. Precious little beyond those facts can be confirmed or denied. There is a tag line that comes to mind upon finishing this play. What happens in the woodlands stays in the woodlands. Had we been the young lovers waking up the following morning, we could have seen ourselves pleading; please, please, please tell me last night was only a dream. Reading about the many misadventures, however, was at least fun. As much as we could feel the weight of Shakespeare’s tragedies, we could certainly feel the humor and non-tragic spirit in this one. Why: Something IS rotten in the state of Denmark. Only, after finishing Hamlet, we’re still trying to place our finger it.... The good news - now that we have a full understanding of Hamlet, we can go back and read Something Rotten (Book 4 in the Thursday Next series) and laugh at all the hilarious references we originally missed! The imagery formed from the writing heighted our experience. The first scene with the guards on the castle wall and the ghost was perfect in setting the tone for everything that followed. 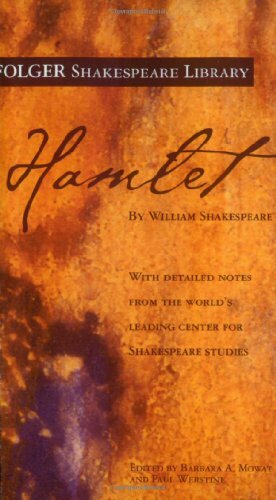 In all of his glorious madness, Hamlet was a fascinating character with one of the most elaborate and brilliant ideas for investigating a person’s innocence: stage a play. That should seriously be the first chapter in Vengeance 101. If only we here at Two Bibliomaniacs had the means to confront any wrongdoers by means of stage production. This has now become our number 1 new resolution in 2012. We’re completely off track.... sorry. Onward with Shakespeare Reading Month! Onward towards the comedies! It will kind of be strange to read something by Shakespeare where a majority of the cast remains intact. Editor’s Note: Seriously, how many people knew that the definition of Hugger-mugger is secrecy or confusion, muddle? Why: Well, it’s time for another graphic review! Like the first (Persepolis), we’re not making any promises. For your viewing pleasure... Anya’s Ghost - A Graphic Review (its okay to get really, really nervous)! Why: We hatheth looketh Shakespeare in the eye and hatheth slaineth this frightening beast of our youth. Sorry, we got a little carried away... Actually, what we meant to say in our own primitive speech is that Shakespeare is our new hero – be gone villainous preconceived notions of past literature classes! Now, we’ve only read two of his tragedies thus far, but Dareth we geteth ahead of ourselves and say that we now loveth Shakespeare? Sensible and even tempered Venetian general, Othello, is at the top of his game. He’s respected by the government and recently won the unyielding love of a rare beauty. Enter the villainous Lago. Jealousy, anger, and madness quickly consume Othello’s character as lies are implanted at every turn. When a family heirloom turns up missing, the path towards complete destruction becomes too great to avert. Wow, we (Evan) can now say with great pleasure that we are no longer kicking and screaming into Shakespeare!!! Othello far surpassed our expectations (and so did Hamlet). Did we scan the cliff notes before each scene? Yes. Did we understand every conversation? Absolutely not. Still, we were struck by how much raw emotion was infused into every sentence, nay, every word. 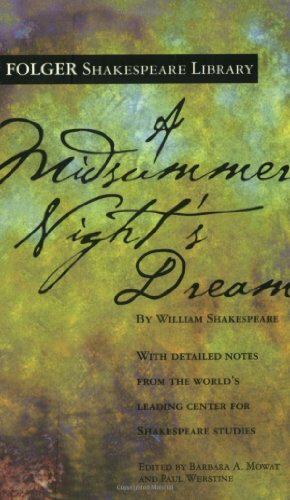 The language Shakespeare uses is so powerful that he forces the reader to listen to every word. If we were one of his characters, we’d probably have high anxiety issues by the age of seven. While the plot was surprisingly simple the emotions portrayed by the characters were not. 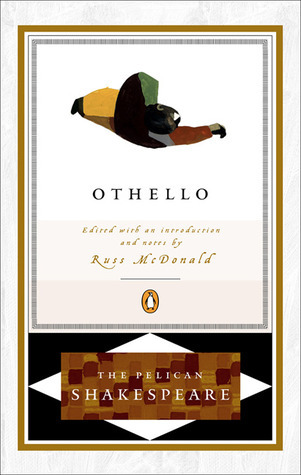 The raw jealousy displayed by Othello forced shivers down our spine on several occasions. For something known as a tragedy, the death count as a percentage to the number of main characters was still impressively high. Remind us not to give the gift of a handkerchief next anniversary. Two weeks ago we were hesitant, but now we can’t wait to get to the more Shakespeare. And with 25ish more days left in Shakespeare Reading Month things are definately looking up. Next, it’s time to try something where the entire cast doesn’t snuff it! Question: Top 10 Books We’re Excited about in 2012. 1. Birdsong (Sebastian Faulks) – This is the highest ranked BBC Big Read book that we still haven’t read. Word on the street it’s pretty awesome. 2. Thursday Next: First Among Sequels (Jasper Fforde) – How can you not get really excited about a Thursday Next book? Seriously we want to know! 3. Captain Corelli’s Mandolin (Louis de Bernieres) – This is the second highest ranked BBC Big Read book that we haven’t read... The street’s been a bit more quiet on this one, but we’re still very excited. 4. Redeeming Love (Francine Rivers) – This novel made the female Bibliomaniacs’ all time favorite list... The male Bibliomaniacs has committed to see what all the hoopla is about. 5. Wolves of the Calla (Stephen King) – This is the next book we need to read in the Dark Tower series. With any luck we’ll also have the next 2 or 3 whipped by December. 6. Hogfather (Terry Pratchett) – Hopefully this is one of many Discworld novels we read this year! 7. Dandelion Wine (Ray Bradbury) – A dear friend refuses to stop frothing over this book and has repeatedly mentioned that it’s a fabulous spring read (his words). We’ll have to wait until April (maybe May), but said friend has yet to fail us on a book recommendation. 8. The Hobbit (J.R.R Tolkien) – We’re committed to reread some of our favorites in 2012 and with the new movie scheduled for December, there’s no excess not to delve back into Middle Earth. 9. Wuthering Heights (Emily Brontë) – We can honestly say that we LOATH, LOATH, LOATH the main character in this one, yet someone who can stir our emotions so greatly deserves a second read. 10. Away Laughing on a Fast Camel (Louise Rennison) – We’ve read the first 2 in this series and laughed hysterically all the way through. While Georgia might not be the best teen role model, her exploits are super fun to read about. So what’d we miss? We’re anxious to see if any other titles need to be added to our list. Have a great week and head on over to The Broke and the Bookish to join the fun! 2 Wow, can you believe it’s already January 2nd! This year’s been flying by and we’ve already lost valuable time signing up for the Goodread’s 2012 Reading Challenge. We’ve never participated in this challenge before, but we can no longer ignore this fantastic bookish website and all the glorious content for book enthusiasts. (For the adventurous type, find us on Goodreads... we’d love to be your friend). We decided to set our book target for this challenge at 101 – less than our final results in 2011, but still three figures. Honestly, our goal is to actually read LESS books this year and in doing so, slow down and enjoy the process. We’ll track most of our future reads on our similarly named Goodreads shelf and our completed reads on this very blog (2012 Challenge page still under construction). Hope everyone else has their 2012 reading goals locked and loaded. Bring home the gold! Following the 1936 Olympic Games Louis Zamperini was certain his legacy would be on the track. Unfortunately, the world decided to go to war. As a bombardier in the United Sates Air Forces a cruel fate would strike Zamperini’s plane during a routine search and rescue mission in the Pacific Ocean. Armed with only a raft, two other companions, and a really fun last name, the main character thought surely things couldn’t get any worse. Never before has one person been proven so wrong by that oft paradoxical statement. And in the case of “The Bird”, never before has one human been so brutal to his fellow man (okay, history would probably prove us wrong here, which is only more discouraging). The fact that we don’t read a lot of nonfiction probably made this story hit us even harder. We’d be reading Unbroken and suddenly we’d be reminded; oh man, this actually happened. And what actually happened was terribly hard to fathom. The story is emotional and delivers exactly what the subtitle suggests. The novel felt well researched and gave us a completely new perspective on WWII. How Louie or Allen or any of the POW’s could have endured their hardships and moved on with life is unimaginable. 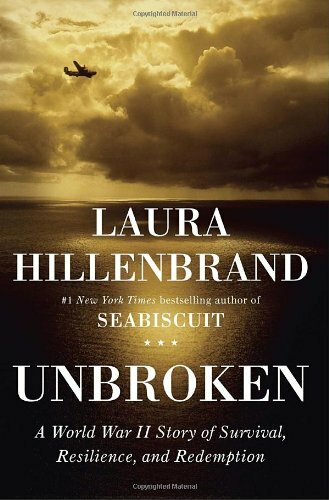 In our opinion, if Unbroken was missing anything it was in the area of redemption. While we were very much inspired by the form that redemption took, the process felt rushed compared with all the survival and resilience. We wanted to learn so much more about his spiritual transformation given how deep his scars penetrated. Nonetheless, we came away in awe of Mr. Zamperini and his incredible story. Definitely make this one a priority next time you need a solid nonfiction read, just make sure your emotions are all limbered up and ready to be pushed to the edge.